A legend has returned. 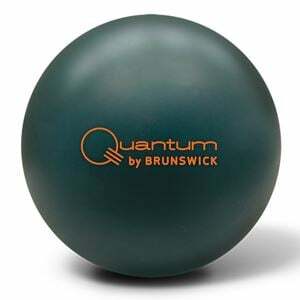 The Brunswick Quantum Forest Green Solid! Anyone who was a bowler in the 90's and early 2000's will remember Quantum. 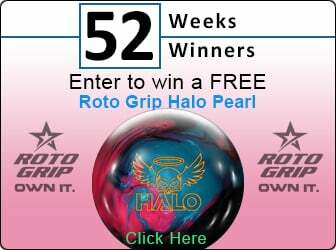 This boutique brand from Brunswick was known for its attention to detail and the best performance in bowling. Well, Quantum is back with the same standards but redesigned for today's lane conditions. The Forest Green uses a solid formulation of the new PK 2016 coverstock. This coverstock will read the mid-lane and create an extremely strong, controllable reaction. The Quantum Mushroom High RG core is a replica of the original Quantum core. Each weight features a unique core shape in order to control differential and ensure the same reaction from all weights. Designed for optimum performance on medium-heavy oil conditions, the Quantum Forest Green will stand above all others. The new Quantum balls feature the return of single density cores and a thicker outer shell using 3.5 times more urethane for improved durability, increased performance longevity, and enhanced hitting power. Through the use of controlled dynamic integrity, the core shapes for each weight have unique designs in order to control the gross weight, core dynamics, and the resulting hook potential in the 14, 15, and 16 pound balls.